MTV POSTED continues to celebrate Tech N9ne in the month of February with a brand new video of the independent king going back to his roots in his hometown of Kansas City. 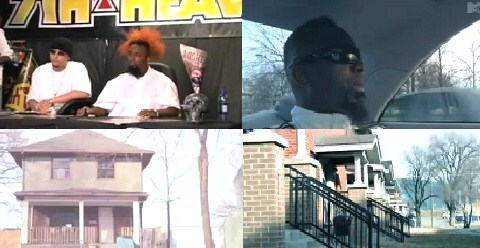 Calling back to his humble beginnings, MTV followed Tech N9ne to his childhood home and elementary school as he gave viewers a “hood-side” view of Kansas City. From his neighborhood stomping grounds to the famed 7th Heaven record store which held his first major instore signing for Anghellic, Tech N9ne proudly displays his rich history in this exclusive MTV footage. Stay tuned to MTV POSTED for more exclusive content from Tech N9ne! What did you think of the exclusive footage? Did you know about Tech N9ne’s past in Kansas City?